Then the LORD said to Moses, “Go to Pharaoh and tell him, ‘Thus says the LORD, the God of the Hebrews, “Release my people that they may serve me! 2 For if you refuse to release them and continue holding them, 3 then the hand of the LORD will surely bring a very terrible plague on your livestock in the field, on the horses, the donkeys, the camels, the herds, and the flocks. 4 But the Lord will distinguish between the livestock of Israel and the livestock of Egypt, and nothing will die of all that the Israelites have.”‘” 5 The LORD set an appointed time, saying, “Tomorrow the LORD will do this in the land.” 6 And the LORD did this on the next day; all the livestock of the Egyptians died, but of the Israelites’ livestock not one died. 7 Pharaoh sent representatives to investigate, and indeed, not even one of the livestock of Israel had died. But Pharaoh’s heart remained hard, and he did not release the people (NET). This judgment was against the bull god (revered as early as the Archaic Period (35), and the sacred cattle of Hathor, the cow-headed love goddess. It was a special reproach to pharaoh who worshipped Hathor. 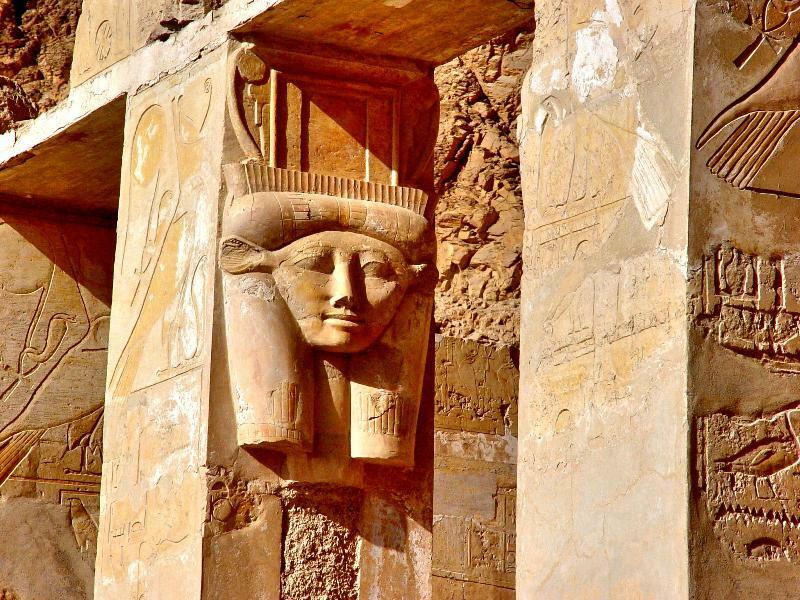 Hathor, whose name means “house of Horus,” was sacred as early as the Old Kingdom (41, 58). Other gods associated with cattle were Ptah and Amon. Great cemeteries of embalmed cattle have been excavated. The symbol of the bull was the symbol of pharaoh himself (Bible and Spade, Vol. 4, Num. 1, p. 10). 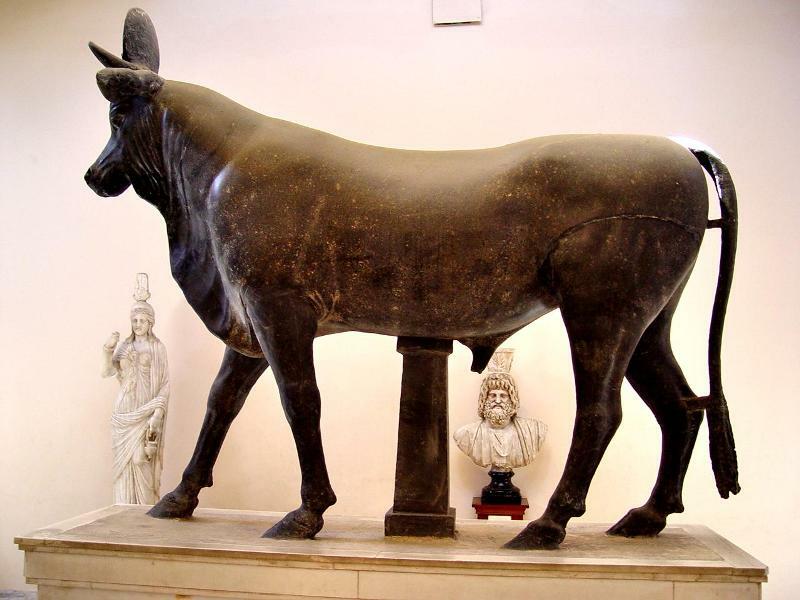 The museum at Alexandria, Egypt, has a display of a sacred bull. Sacred Bull at Alexandria, Egypt. Photo by Leon Mauldin. The cow-goddess Hathor was widely worship in Egypt. This image is from Hatshepsut’s three-tiered funerary palace at Deir el-Bahari. Goddess Hathor at Hatshepsut's funerary temple. Photo by Leon Mauldin. The best evidence is that these events transpired during Egypt’s Eighteen’s Dynasty, when the nation was at the peak of its power. God referred to 10 plagues as “great acts of judgment” (Exodus 6:6). Prior to the 10th plague, the death of the firstborn, God warned, “For I will go through the land of Egypt on that night, and will strike down all the firstborn in the land of Egypt, both man and beast; and against all the gods of Egypt I will execute judgments– I am the LORD” (Ex. 12:12). In reality, all of the plagues showed that YHWH (the LORD) was the true God; all of the plagues were judgments against the gods of Egypt. The first plague turned the water of the Nile into blood. 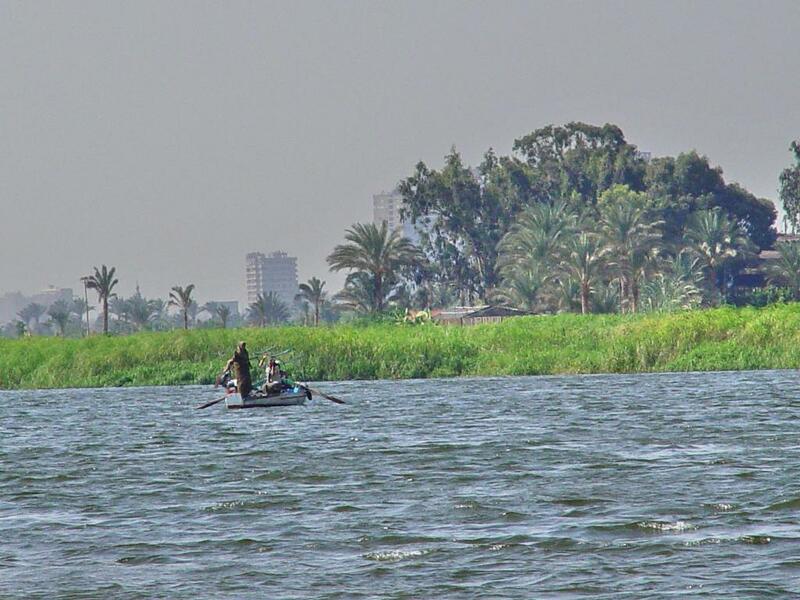 Nile River. Photo by Leon Mauldin. This plague was against the god Hapi, spirit of the Nile in flood and “giver of life to all men.” The annual innundation was called “the arrival of Hapi” (57). He was especially worshipped at Gebel Silsileh and Elephantine. The Nile water was the transformed life-blood of Osiris. The fact that the Nile turned to blood, which was abominable to Egyptians, was a direct affront to one of their chief gods. Although the fish-goddess was Hatmeyt, all the fish in the Nile River died! (Bible and Spade Vol. 4, No. 1, P. 4). 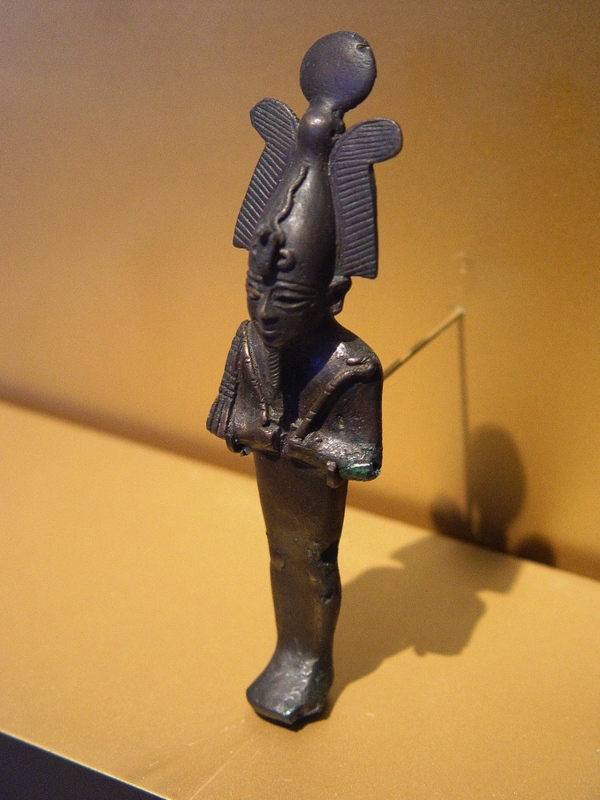 Osiris was believed to be the goddess of the afterlife. The Goddess Osiris. Brooklyn Museum. Photo by Leon Mauldin. By the way, I recently added the email subscription feature to this site. If you like, just enter your email address in the box provided, and you will receive notice when new posts are added to this site. Biblical Dan was a city of about 50 acres. It is located at the foothills of Mt. Hermon in northern Israel. 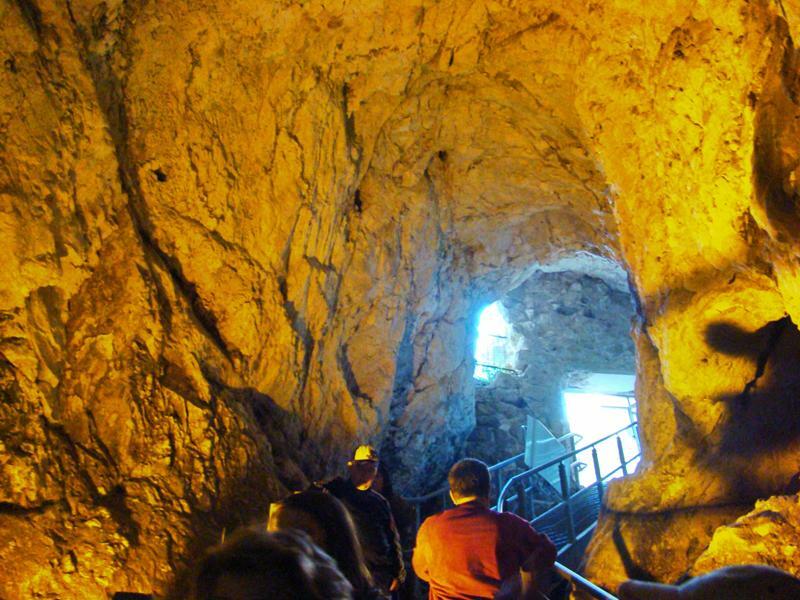 It was situated on the main route from Galilee to Damascus. Built about 1800 B.C., this mudbrick gate was in use approximately 50 years before it was covered (and thus preserved) by an earthen rampart. The style of the gate is typical for this period; it is a “Syrian gate” with three pairs of piers and four chambers, like those found at Megiddo, Shechem and Gezer. Mud-brick Canaanite Gate at Dan. Photo by Leon Mauldin. Close up of Canaanite Gate at Dan. Photo by Leon Mauldin. With the exception of the birth and very early childhood of Jesus (which was in Bethlehem and Egypt), Jesus lived in Nazareth until He was about the age of 30 (Luke 3:23). 16 Now Jesus came to Nazareth, where he had been brought up, and went into the synagogue on the Sabbath day, as was his custom. He stood up to read, 17 and the scroll of the prophet Isaiah was given to him. He unrolled the scroll and found the place where it was written, 18 “The Spirit of the Lord is upon me, because he has anointed me to proclaim good news to the poor. He has sent me to proclaim release to the captives and the regaining of sight to the blind, to set free those who are oppressed, 19 to proclaim the year of the Lord’s favor.” 20 Then he rolled up the scroll, gave it back to the attendant, and sat down. The eyes of everyone in the synagogue were fixed on him. 21 Then he began to tell them, “Today this scripture has been fulfilled even as you heard it being read.” 22 All were speaking well of him, and were amazed at the gracious words coming out of his mouth. They said, “Isn’t this Joseph’s son?” 23 Jesus said to them, “No doubt you will quote to me the proverb, ‘Physician, heal yourself!’ and say, ‘What we have heard that you did in Capernaum, do here in your hometown too. '” 24 And he added, “I tell you the truth, no prophet is acceptable in his hometown. 25 But in truth I tell you, there were many widows in Israel in Elijah’s days, when the sky was shut up three and a half years, and there was a great famine over all the land. 26 Yet Elijah was sent to none of them, but only to a woman who was a widow at Zarephath in Sidon. 27 And there were many lepers in Israel in the time of the prophet Elisha, yet none of them was cleansed except Naaman the Syrian.” 28 When they heard this, all the people in the synagogue were filled with rage. 29 They got up, forced him out of the town, and brought him to the brow of the hill on which their town was built, so that they could throw him down the cliff. 30 But he passed through the crowd and went on his way (Luke 4:16-30). The traditional location of hill from which the residents of Nazareth attempted to push Jesus is known as the Mount of Precipice. 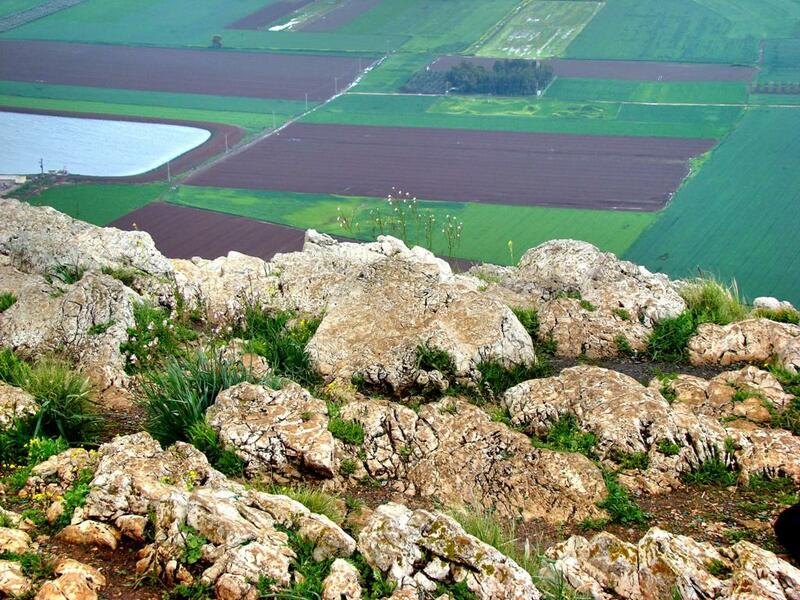 It is 397 meters above sea level, and overlooks the Jezreel Valley. Nazareth. View from Mt. Precipice. Photo by Leon Mauldin. From here one has a good view of Nazareth. 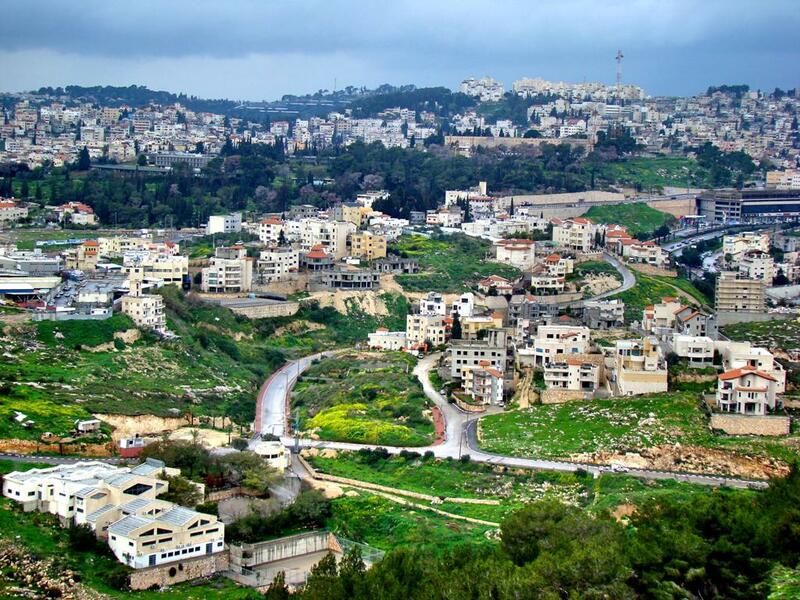 Nazareth from Mt. Precipice. Photo by Leon Mauldin. Buildings come and go, but the hills and valleys remain the same (as a rule). I.e., the landscape here pictured is what Jesus and his family would have seen. 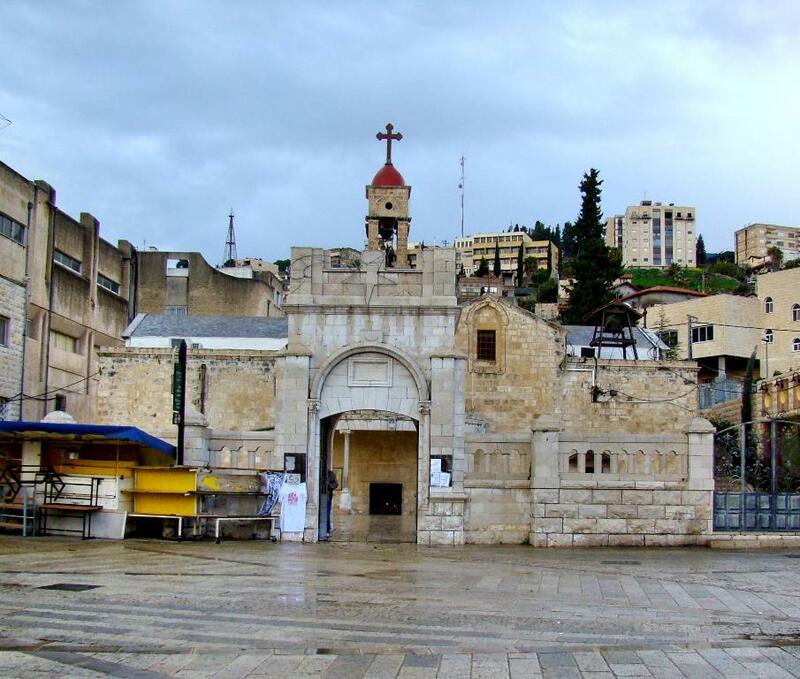 Here at Nazareth is the Church of the Annunciation, which commemorates the angelic announcement to Mary of God’s choice of her to be the mother of Jesus (Lk. 1: 26-38). Nazareth. Church of the Annunciation. Photo by Leon Mauldin. Inside the church can be seen the spring which was the city’s water supply. 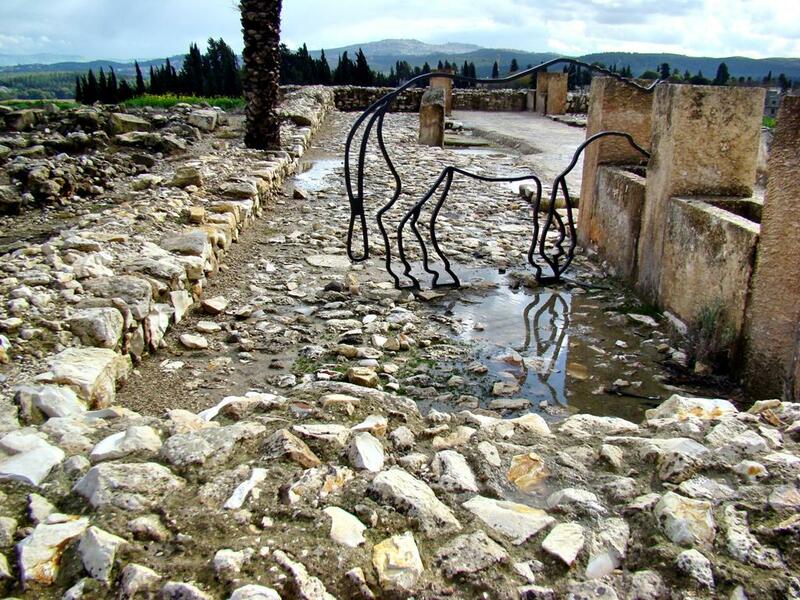 Another interesting discovery at Megiddo is the area which many believe were used for horse stables. 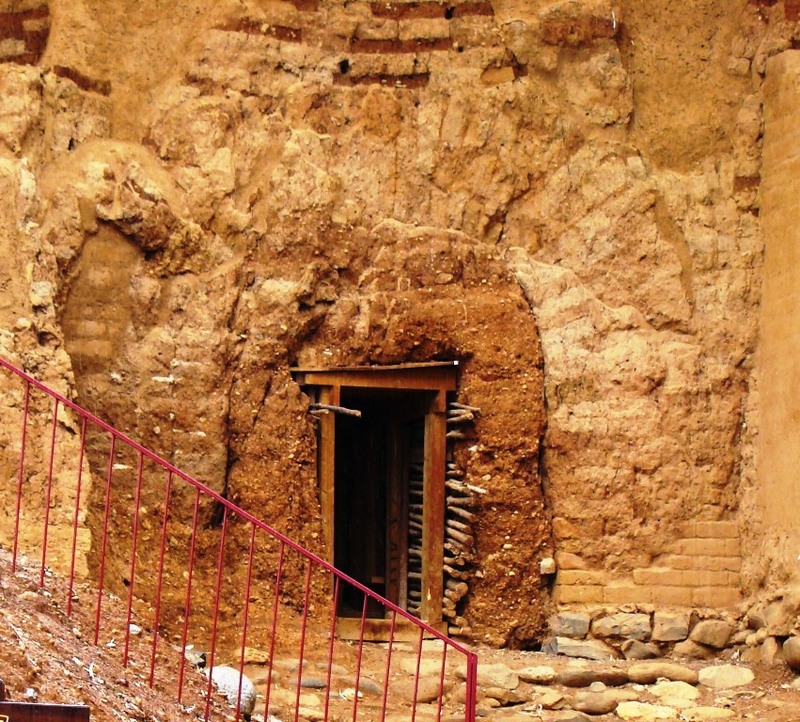 The area seen in this photo is sometimes called “Solomon’s stables,” though many believe this should be dated a bit later to the time of King Ahab. Stables at Megiddo. Photo by Leon Mauldin. You can see the metal outline of a horse in our photo. Some suggest this site may have been used for barracks, market places, storage facilities, or other usages. Click on photo for higher resolution. It would be hard to overemphasize the importance of the city of Megiddo. We have referenced the strategic location in our two previous posts. Crucial battles were fought here. Excavations conducted at Megiddo have been “large and extensive,” and include the efforts of the German Society for Oriental Research (1903-1905), the Oriental Institute of Chicago (1925-1939). Excavations were interrupted with the outbreak of WWII, but were renewed by the Institute of Archaeology at the Hebrew University of Jerusalem (1960, 1961, 1966, 1967, and 1971) under the leadership of Y. Yadin (The New Encyclopedia of Archaeological Excavations in the Holy Land, Vol. 3, pp. 1005-1005). More recent excavations have been undertaken by Tel Aviv University, with Pennsylvania State University as the senior American partner (ibid. Vol. 5, pp. 1944ff.). 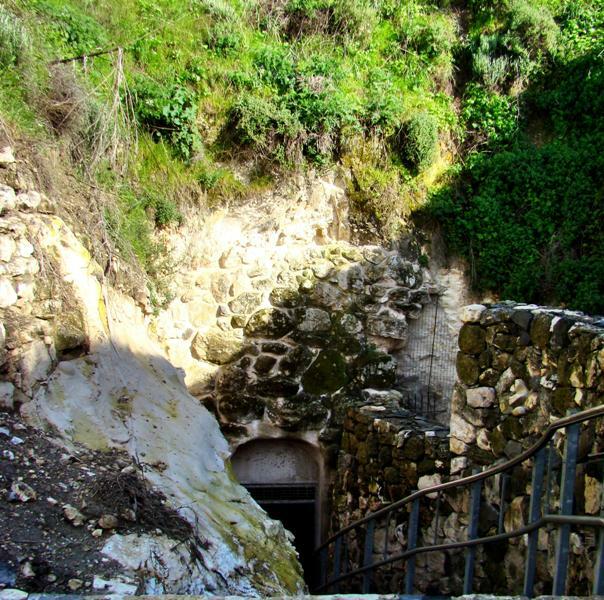 Among the more interesting discoveries is Megiddo’s water system. 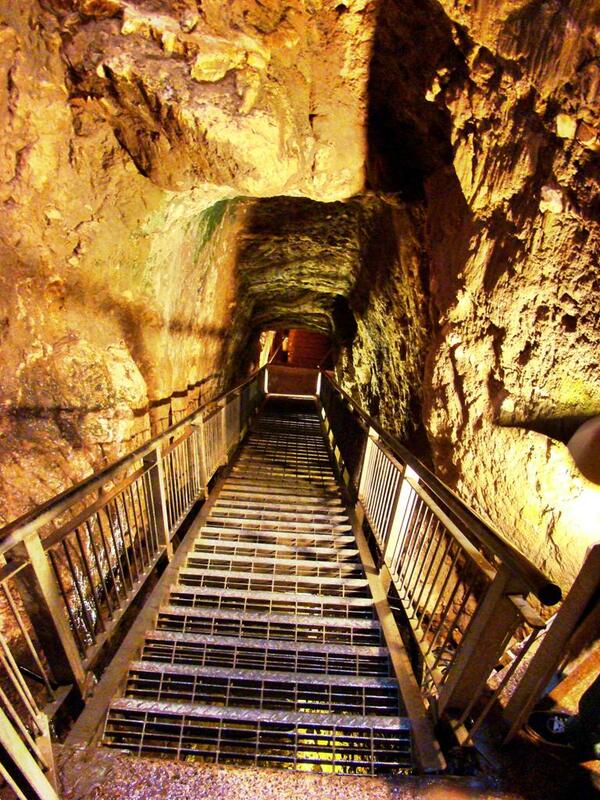 A 70 meter tunnel hewn through rock led down to the spring. Megiddo. Tunnel to city spring. Photo by Leon Mauldin. This dates back to the time of Israel’s king Ahab (874-853 BC). Prior to this engineering feat, it was necessary to go outside the city walls to access the spring. 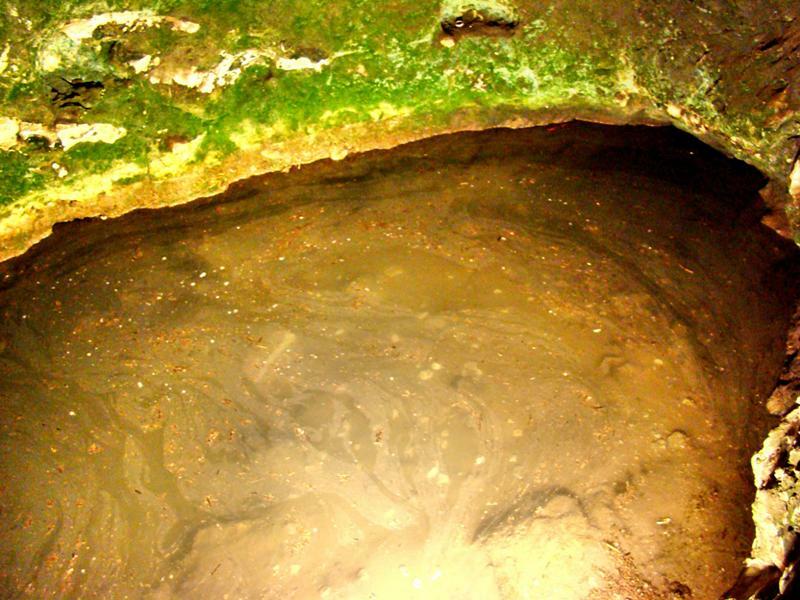 Megiddo Spring. Citys water supply. Photo by Leon Mauldin. Megiddo. Exit from spring. Photo by Leon Mauldin. And finally, a view back to the exit of the spring. Megiddo. Outside Water System Exit. Photo by Leon Mauldin. 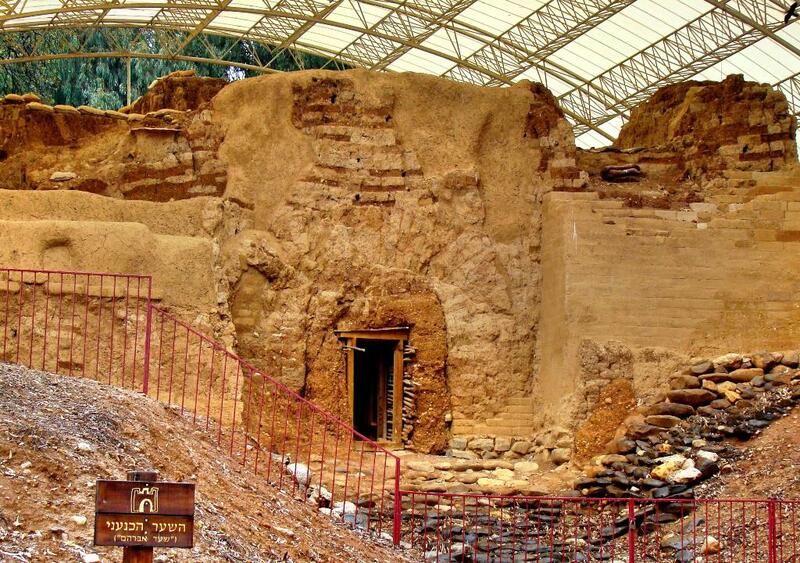 In our next post we plan to feature the stables of Megiddo. Archaeologists have discovered more than 20 layers of occupation at the ancient city of Megiddo.The city was strategically situated on the route that came to be known as the Via Maris, the ancient trade route that connected Egypt with Syria and Mesopotamia. 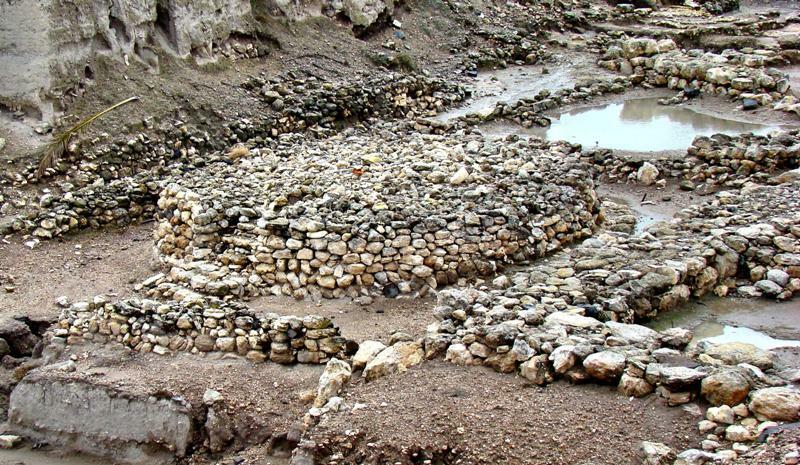 One of the more interesting finds is the circular Canaanite altar. It is nearly 26 feet in diameter and about five feet in height. This would have been used by the Canaanites in their pagan worship, and very likely was the site of human sacrifice. You can see the altar in the center of our photo. Canaanite Altar at Megiddo. Photo by Leon Mauldin. In the foreground of the photo and also to the right of the altar you can see the outline of the Canaanite temple. You are currently browsing the Leon's Message Board blog archives for April, 2011.